Home Office guidance: what is indicative of “bad character”? Do driving and parking offences have to be declared for a British citizenship application? Do old or “spent” convictions have to be declared? Who does not need to meet the good character requirement? Anybody over the age of ten who applies for registration or naturalisation as a British citizen needs to meet the so-called “good character requirement”. This is a mandatory requirement set out in the British Nationality Act 1981. Where a person is deemed by the Home Office not to be “of good character” then his or her application for citizenship will be refused. There is no further definition of what is meant by “good character” in the British Nationality Act 1981. However, there is guidance available from the Home Office as to what is likely to be considered behaviour that indicates a person is not “of good character”. We can also look to the very few cases that have reached the courts on this issue. The current guidance as to what factors the Secretary of State will consider when assessing a person’s good character is set out in nationality policy guidance document Good character requirement. The guidance runs to 53 pages and includes a long, non-exhaustive, list of issues which would, in the Secretary of State’s view, indicate that a person is not of good character and would therefore lead to refusal. The list includes issues which are relatively uncontroversial and to be expected, such as war crimes and terrorism. 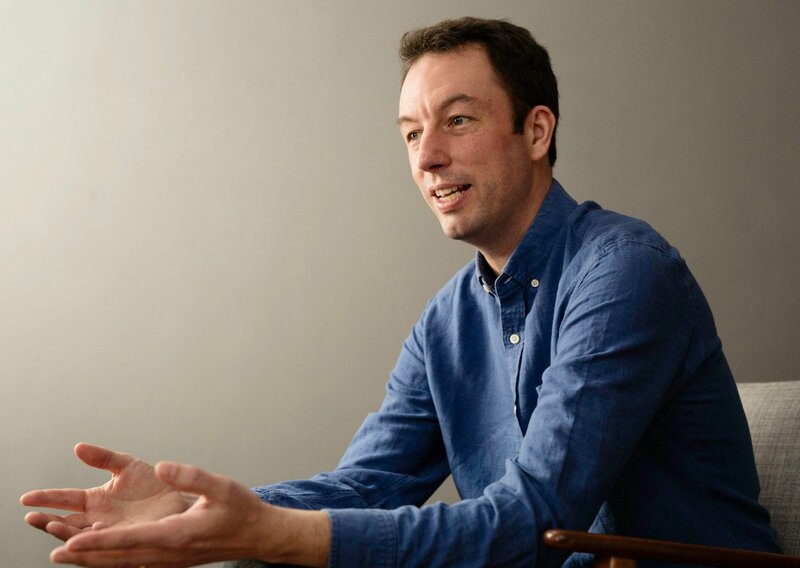 It also includes more questionable factors when it comes to deciding whether a person is of “good character”, including issues of bankruptcy and liquidation. The sections of the guidance which cause the most concern to applicants, partly because it is not always clear when they do or do not apply, are those on deception and dishonesty and on breaches of immigration law. Four years’ or more imprisonment Application will normally be refused, regardless of when the conviction occurred. Between 12 months’ and four years’ imprisonment Application will normally be refused unless 15 years have passed since the end of the sentence. Up to 12 months’ imprisonment Applications will normally be refused unless ten years have passed since the end of the sentence. It is the entire sentence imposed on an individual which will be looked at, not the actual time spent in prison. A suspended prison sentence will be treated as a “non-custodial offence or other out of court disposal that is recorded on a person’s criminal record”, unless the sentence is subsequently ‘activated’. It will normally be appropriate to disregard a conviction for behaviour that is considered legitimate in the UK. Examples of offences abroad that you may disregard include homosexuality or membership of a trade union. However, the fact that there may be no equivalent for an overseas offence in British law does not in itself mean that the offence should automatically be disregarded, and you must look at what that offence indicates about the person’s character. A willingness to disobey the law in another country may be relevant even if their conduct would have been lawful in the UK. The guidance also contains detailed information as to what constitutes “out of court disposals”. They include cautions, warnings, community sentences, hospital orders and fines. 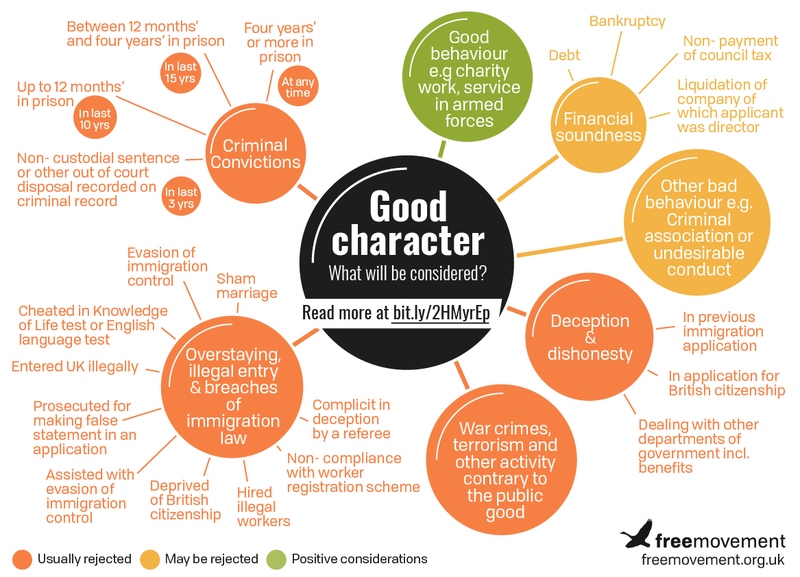 They do not include Fixed Penalty Notices; however, these may be relevant when making the overall assessment as to whether a person is of “good character” (see below). may justify refusing an application, even if the individual sentences imposed would not normally in themselves be a reason for refusal [in line with the table above]. The decision-maker will take into account factors such as the number of offences, the time period over which those offences were committed, the impact on the public, and whether there has been an escalation in the seriousness of the offences. Where there is firm and convincing information to suggest that a person is a knowing and active participant in serious crime (e.g. drug trafficking), the application will normally be refused. The decision should give careful consideration to the nature of the information and the reliability of the source in such cases. Finally, one should always remember that it is important to declare all criminal convictions, including pending ones. An applicant who fails to do so may see their application refused not only on the ground of the criminal conviction, but also on the ground of deception (see below). The short answer is that it is important to disclose all convictions and to err on the side of caution by over- rather than under-disclosing. Where a conviction is a very minor one, such as a minor driving conviction, there is more danger from failing to disclose and being accused of deception than from refusal on good character grounds because of the conviction itself. As President Nixon found to his cost, the cover up can be worse than the crime itself. Fixed Penalty Notices are not always technically criminal convictions. It depends how an incident was treated by the police at the time. However, we have already seen that the good character requirement for naturalisation is not just about criminal convictions, it is also about wider behaviour. • the person has received numerous fixed penalty notices. Very serious road traffic offences such as drunk or dangerous driving will always count as criminal convictions and must be disclosed in an application for naturalisation. Under the Rehabilitation of Offenders Act 1974, some criminal convictions become “spent” after a certain period of time. This means that the offence does not have to be declared for most purposes, for example when applying for employment or insurance. The period of time before an offence varies with the seriousness of the offence. However, criminal offences never now become spent for the purposes of immigration and nationality law. The law on rehabilitation for immigration and nationality purposes was changed by section 140 of the Legal Aid, Sentencing and Punishment of Offenders Act 2012 with effect from 1 October 2012. Applicants are required to disclose all convictions, regardless of whether or not they are ‘spent’ under the Rehabilitation of Offenders Act 1974 (1974 Act). You may take into account any past convictions regardless of when they took place, as nationality decisions are exempt from section 4 of the 1974 Act that provides for certain convictions to become ‘spent’ after fixed periods of time. only required to disclose unspent convictions as defined in the Rehabilitation of Offenders (Northern Ireland) Order 1978. At page 52 of the guidance there is a table of rehabilitation periods applicable to residents of Northern Ireland. It is nevertheless arguably prudent to disclose even spent convictions as there is a real risk of a Home Office caseworker based in Liverpool missing the special provisions for Northern Ireland. This could cause refusal on grounds of deception and lead to wasted time and money seeking reconsideration. Indeed, it is very important that all applicants declare all their convictions, including driving offences and spent convictions, to avoid seeing their application refused on the basis of deception (see below). Most of the section in the nationality policy guidance dealing with war crimes and terrorism is blanked out, so we do not know exactly what are the instructions to decision-makers relating to these cases. What we do know of policy in such cases is reflected in our full ebook on naturalisation. non-payment of council tax (where the person unreasonably failed to pay or committed fraud in an attempt to pay less). You must consider whether the person was reckless or irresponsible in their financial affairs leading to their bankruptcy or their company’s liquidation. If so, it is likely to be reflected by a disqualification order which prevents a person from being a Director or taking part in the management of a limited company for a period of up to 15 years. Details of all disqualifications are on the Companies House website. Where a person has a disqualification order, an application will normally be refused. Similarly, debt in itself will not normally be a reason for refusal. However, where a person deliberately and recklessly builds up debts and there is no evidence of a serious intention to pay them off, the decision maker will normally refuse the application. in their dealings with other departments of the government, including in relation to benefits. Where deception was used in a previous immigration application, it does not matter whether the deception was material to the grant of leave or not. Even if the deception was not relevant a later application for naturalisation will still normally be refused. Where the deception relates to a previous immigration application, an application for British citizenship will be refused for ten years starting with the date on which that deception was discovered or admitted. When the deception relates to the current application for citizenship any subsequent application for citizenship will be normally be refused if it is made within ten years from the date of the refusal unless the failure to disclose was unintentional and concerned a one-off non-custodial sentence or out of court disposal. Where deception is committed in an application for naturalisation or registration and is not uncovered at the time of the application, the Home Office has a power to later deprive a person of their British citizenship. This has occurred in some cases involving, for example, successful false asylum claims leading to a grant of a settlement and eventually to naturalisation. In December 2014 the Home Office introduced new guidance on good character and started to refuse naturalisation applications on the basis of poor previous immigration behaviour. This is now one of the most common reasons for refusal on the basis of good character. Entered into a false marriage or marriage of convenience. The ten years will start running from when the deception is discovered or admitted. Cheated in a Knowledge of Life in the UK test, or an English language test. Again, the ten years start running when the deception is discovered or admitted. Was prosecuted for making a false statement in an application. Was complicit in deception on the part of referees. Entered the UK illegally. The ten-year period starts running from the date of entry if known, or otherwise the date the applicant brought themselves or came to the attention of the Home Office. Was deprived of their citizenship because of fraud, false representation or the concealment of material fact. The ten-year period will start running from the date the deprivation order was issued. Not every past breach of immigration laws triggers a refusal. The guidance contains a detailed section on overstaying. Whilst overstaying in the past ten years is a potential ground for refusal, it can be disregarded if it is the sole reason for refusal and falls within certain timelines. It is important to refer to the guidance on this point. If the person does not clearly fall into one of the categories outlined above but there are doubts about their character, you may still refuse the application. There is no specific mention of non-compliance with the Worker Registration Scheme (WRS) for citizens of “A8” and “A2” EU countries. However, there have been concerns that refusals may occur on this basis in practice. These concerns were fueled by the inclusion of a specific question on the paper version of the EEA(PR) application form which asked outright if the applicant had worked in the UK in breach of the WRS. These concerns do not seem to have materialised in practice. We aware of cases of A8 and A2 EU nationals who did work in breach of the WRS within the past ten years and successfully applied for naturalisation. Nor are we aware of any refusals for this reason. It is worth being aware of all the same. Firstly, it is important to note that the refusal of an application for British citizenship does not by itself prejudice an applicant’s current immigration status or future applications for British citizenship. In other words, an applicant who submits an application for British citizenship which is refused will retain his or her current immigration status. He or she will also be free to submit a new application for British citizenship in the future, if or when he or she meets the good character requirement. The exception to this rule is where the reason for refusal is that the applicant has used deception in the current application. In this case, any new application will be refused for a period of ten years. In many cases it might well be that the practical advice is to wait until a person has a straightforward application. For example, in the case of a person who has overstayed and will struggle to show that they did not work during that time, it might well be that they will want to wait until ten years have passed since the end of their period of overstay. This is especially true with individuals with limited financial means, who will be unwilling to risk spending such large amounts of money. At the time of writing, in February 2019, an application for naturalisation costs £1,330, out of which only £80 (the administrative cost for the citizenship ceremony) will be refunded if the application is refused. However, some potential applicants may be more willing to take risks and be willing to try submitting an application, even when it is likely that it will be refused and they will need to challenge it. Importantly, the good character requirement guidance is guidance only. None of the grounds for refusal in the guidance are mandatory as such. It is always possible to put arguments forward to rebut the presumption of refusal. An exceptional case is one where on the facts of the case, the application would normally be refused but there are mitigating circumstances which mean it would be appropriate to grant. This suggests a very strict interpretation of the guidance, which is arguably incorrect. Judges have suggested that the Secretary of State should apply the guidance in a more flexible way. However, there is a marked difference between the theory and practice of law. Realistically, in most cases the outcome of an application for naturalisation will be whatever the Home Office decides, and the Home Office case worker deciding the application will almost always follow and apply the guidance. In some cases it may be feasible as a matter of law to bring a legal challenge by way of an application for judicial review. But very few rejected applicants will want to go to the expense and inconvenience of pursuing a legal challenge. It can be difficult to persuade the court that a decision maker has acted irrationally or unlawfully where such a wide discretion exists. As we have seen, the nationality policy guidance mainly guides officials as to when to refuse applications on bad character. The guidance does little or nothing to encourage officials to take into account evidence of positive good character. There are however relevant High Court cases on this issue, which are analysed elsewhere on Free Movement and discussed in our full ebook. Article 31 of the Refugee Convention does not specify any minimum time before a person should claim asylum and this will need to be considered on a case-by-case basis. As a guide it is not unreasonable to expect that a person who enters the UK illegally, with the intention of claiming asylum, should claim asylum within 4 weeks of arrival. An applicant who, having entered illegally, delayed claiming asylum beyond this period will normally be refused citizenship unless there is a reasonable explanation for the delay. There is also an expectation that those seeking protection should do so in the first available safe country, so should not, for example, travel across several European countries to claim in the UK. That by itself will not be grounds to refuse but it will be a factor to consider alongside others that may cast doubt on an applicant’s good character. If an applicant entered illegally and would have had a valid section 31 defence but was convicted before their application for asylum was decided and granted, it may be appropriate to disregard the conviction. This exception has always existed but unfortunately, experience suggests it was too often not applied by officials, and many refugees were granted naturalisation only after challenging an initial refusal by way of an application for judicial review. Hopefully decision-making will improve on this point, though the Article 31 exception is far from lenient. individuals who apply under section 4B of the Act, which is directed at those who have no other citizenship. Following the Supreme Court decision in R (Johnson) v Secretary of State for the Home Department  UKSC 56 an individual who would automatically have been born British before 1 July 2006 but for the fact his or her parents were unmarried and it was his father rather than his mother who was British is also exempt from the good character requirement. The Supreme Court held that those who had been denied British citizenship by this historic legislative bias were entitled to register as British even if they were of bad character. A remedial order is drafted and in the pipeline to amend the British Nationality Act 1981 to remove the good character requirement from such cases, as well as from other historic gender discrimination registration categories such as section 4C. This article was originally published in November 2017 and has been updated to take account of developments since then. Thanks to John Vassiliou of McGill & Co for his work on the latest version.